Okay. The threat: if I have to look at a moose's rear end passing by my living room, so do you. The apology: I am deeply sorry for my dirty window. That is truly horrifying. The excuse: Our beagle, Daisty, scratches on that particular window when she wants to be let in. The window is nowhere near a door, mind you, but it's the perfect spot for a dog to stand and stare imperiously down on her humans, who tend to lounge on the comfy furniture in the living room. I have no idea why Daisy's scratch marks look like hand smears. Oh, wait. I do know. I have 4-year-old twins with muddy hands who like to pretend they're beagles scratching on the window. Please don't judge my housekeeping skills . . .
. . . or I'll make you look through dirty windows at a moose's heinie. And that's not a threat—it's a promise. This has got to be one of the most original and funny post I've ever come across! Thanks for the laugh. It was much needed! Wow...that's a CLOSE CALL if I've ever seen one! Too funny. Now get out there and wash that window! I was waiting for you to say the smudges were from the moose. Dog paws and 4-year-old hands sound so much better! You are funny. Thanks for the smiles. This post cracked me up! Thanks! This post made me giggle!!!! 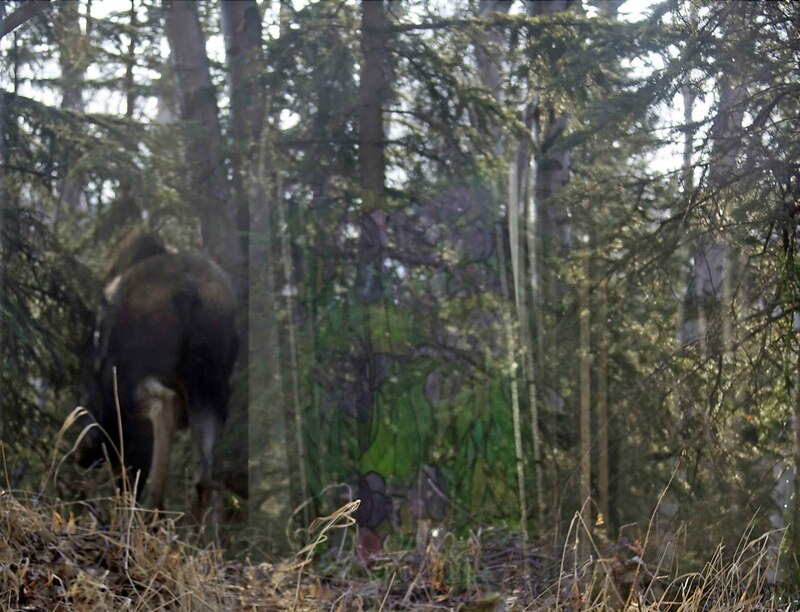 I still cannot get over the fact that mooses (is that a word?) just saunter up to your window and hang out! 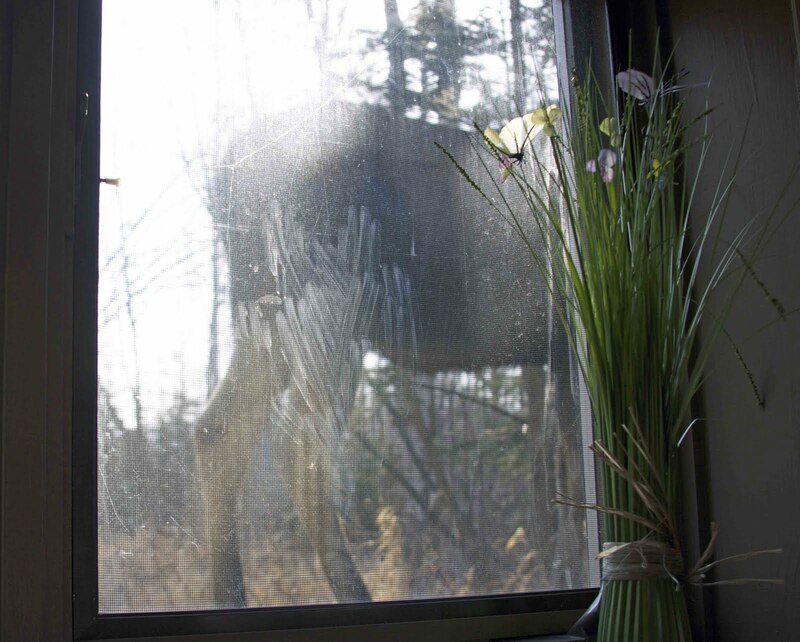 I try to keep up with housework, but at the end of the day I keep telling myself, one day it will be mine again.....Also, if you are mooned by a moose, is it then 'moosed'? Too funny. I won't judge. You should see my windows.